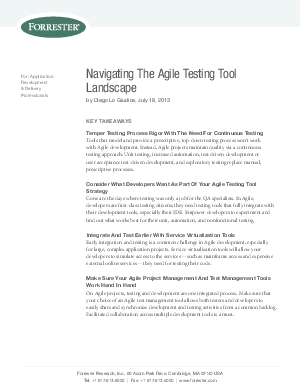 Get the essentials about agile testing and service virtualization from several different perspectives – get an analyst’s take from Diego Lo Giudice of Forrester Research on how to remove agile testing bottlenecks and ways to calculate your potential return on investment for Service Virtualization. Hear about real customer implementations in the financial services, travel, and healthcare sectors. Learn from experts on how service virtualization is essential for mobile development, testing packaged applications (such as SAP), and more.